After raising a $75 million chunk of investment at a $1 billion valuation earlier this year, Mercari today announced it has seen more than 20 million app downloads in the U.S. The company started a North American hiring binge earlier this year and is aiming to double its staff in the U.S over the next 12 months. 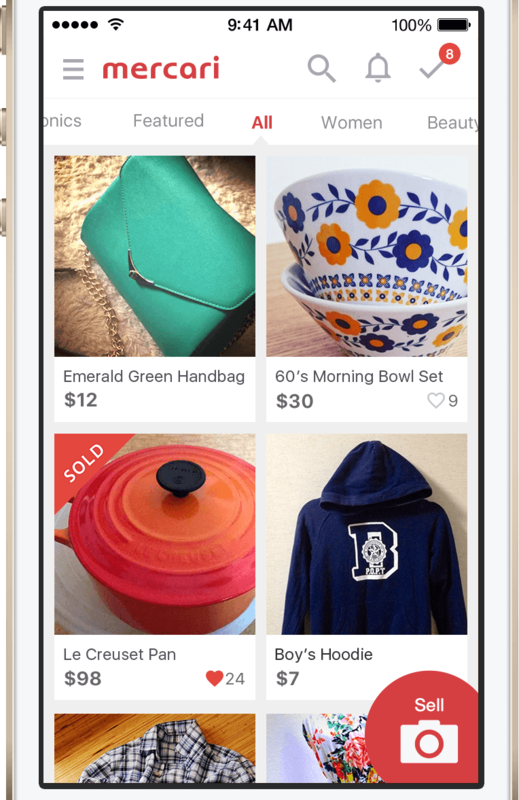 Mercari’s ultimate goal is to take on eBay and Craigslist on their home turf — and beyond. The company is tremendously successful in its home country of Japan. Counting more than 40 million users means that 30 percent of the population is using the platform to buy and sell new and used goods. Mercari has seen huge growth in Japan. 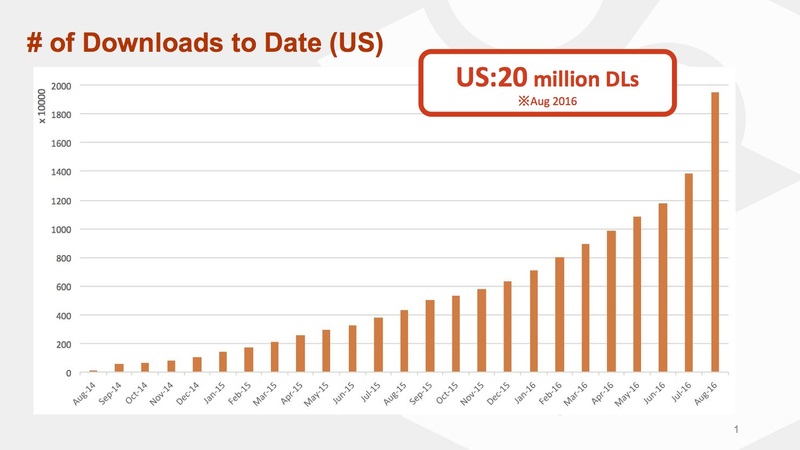 This graph ends in August; in the time since, the company’s CEO tells me Mercari has crossed the 40 million downloads mark. Mercari launched in Japan three years ago, but the company has always had international ambitions. This means making design and product decisions that work for a global audience. Coming from a Japanese design aesthetic, that is easier said than done. To American eyes, many Japanese apps can look tremendously cluttered and confusing, but the opposite is also true. Apple’s notoriously minimalist interfaces, for example, look almost barren when translated into Japan’s compact written language. Striking a balance is far from easy, and Mercari has dedicated a lot of time to ensuring its apps have international appeal. The company is constantly fielding questions about a rumored IPO, rumors that were further fueled when the company announced its most recent financial results earlier this week. 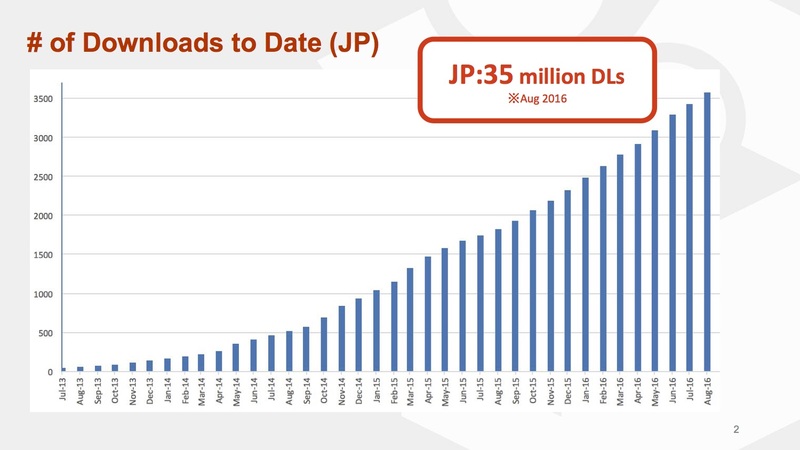 Posting more than ¥13 billion ($127 million) of revenues in Japan over the past year and growing its number of customers to more than 40 million in its domestic market, the company is experiencing tremendous growth. On the topic of an IPO, Yamada says that the timing isn’t right yet. He says the company would prefer to wait until it is becoming more clear how the international expansion is panning out. Listing the company on a Japanese stock exchange would be possible now, but he adds that the international exchanges could potentially be a better fit. Through a combination of advertising and viral campaigns, Mercari has grown to 20 million downloads in the U.S. Originally, Mercari was hoping to be able to expand to the U.S. by sending staff over from Japan for a few weeks at the time. The team quickly realized that this wasn’t a sensible way of going about it. 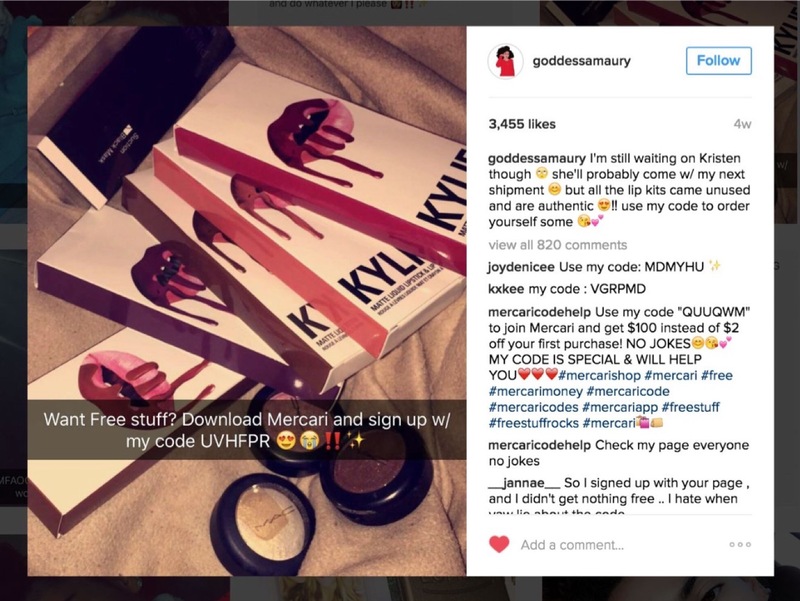 Mercari’s growth has been driven by advertising and social media referral programs. Starting a marketplace is lucrative, of course, but finding success as a marketplace company is completely dependent on leveraging the network effect of users. The reason eBay is so successful is that that’s where sellers and buyers go to conduct their business by default. To take a bite out of eBay’s success, Mercari would need to build up a strong user base both on the supply and demand side. That sounds like an impossible task (and many startups have tried and failed), but Mercari has already succeeded in taking on a seemingly unassailable giant once before. In the U.S., Mercari’s biggest categories are women’s fashion, makeup and consumer electronics. Of course, in entering a brand new market, the company is facing a fragrant cornucopia of other challenges, too. The aforementioned design challenge is only a small part of it, and Mercari soon learned U.S. customers can be quite different from their Japanese counterparts in a few key ways. Fraud is one of those challenges. Japan is a famously low-crime country. One of the things that surprised me in Tokyo was that people often leave their laptop or mobile phone on a table to mark the table as taken. Not a recommended course of action in most of the U.S. and Europe. Mercari had a rude awakening in this respect when entering the U.S. market. Yamada tells me that their nascent U.S. operation is suffering from 10 times more fraud than its Japanese platform. There’s also a cultural difference around returns. Yamada and his team are continuing their U.S. hiring binge in order to continue the company’s attack on the extremely well-established incumbents. It will undoubtedly be a hard-fought battle against some formidable opponents. Given that both eBay and Craigslist feel a decade out of date at this point, the company might just succeed. Definitely one to keep an eye on. This post has been updated to correct Mercari’s USD revenue figure.